SEATTLE — It’s one of the best-loved scores in the literature — and has been so for nearly three centuries. Yet the Stabat Mater — the final work Giovanni Battista Pergolesi completed before his death in 1736 at the age of 26 — continues to allow for an extraordinary variety of interpretations. The emotional involvement and straightforward lyricism that make it so enduringly popular are precisely what have rendered Pergolesi’s setting suspect for those alarmed by such characteristics in sacred music. This was one of my favorite projects to research in 2018 — and one of many assignments that helped me to keep my sanity during a dark year. The opening weekend of the new Los Angeles Master Chorale season was devoted to Orlando di Lasso’s late masterpiece Lagrime di San Pietro. I’m still working through the extraordinary effect the performance had on me — and I know I’m far from alone. Overall, I was left with an experience I associate with late Beethoven and Parsifal. It was genuinely that special. I’m fascinated by the line of development in Peter Sellars’s work from his stagings of the Bach Passions through John Adams’s The Gospel According to the Other Mary (also with the Master Chorale) and Kaija Saariaho’s La Passion de Simone. And of course his work on Stravinsky. James F. Ingalls’s lighting design added a rich layer, yet another strand of counterpoint. The rehearsals — a record total of 26 to bring this to the stage — were reportedly grueling: a combination of boot camp and spiritual retreat. And the incredible technical challenge of committing so much of this music along with the choreography and gestures was taken for granted. Not that this was an “effortless” performance — far from it, the strain and exhaustion entailed in bringing this music and its message to life added to the powerful impact. Normally, we turn to death-invoking music for its transformative powers. The final great works of Beethoven (the late string quartets), Mozart (the unfinished Requiem) or Mahler (the Ninth Symphony’s probe of dying embers) help us transcend despair. Di Lasso’s “Lagrime,” however, is by a deeply depressed composer in the days before meds, someone who only wants his misery to end. It did in 1594, three weeks after finishing the score. “Lagrime” is a major accomplishment for the Master Chorale, which sang and acted brilliantly. It is also a major accomplishment for music history. The company hopes to keep this production alive, touring it, and if the music business chooses to honor the just, that will be a saint’s compensation. I happily recall the British early music vocal ensemble Stile Antico’s first visit to Seattle over four years ago. On 9 April they return, under the auspices of the Early Music Guild, for a program titled The Touches of Sweet Harmony: The Musical World of William Shakespeare. SEATTLE — A couple years after the conductor, lutenist, and recent Grammy laureate Stephen Stubbs resettled in his native Seattle in 2006 — following three decades based in Europe (mostly in Germany) — he established Pacific MusicWorks, a production company focused primarily on presenting Baroque opera and oratorio in innovative collaborations. 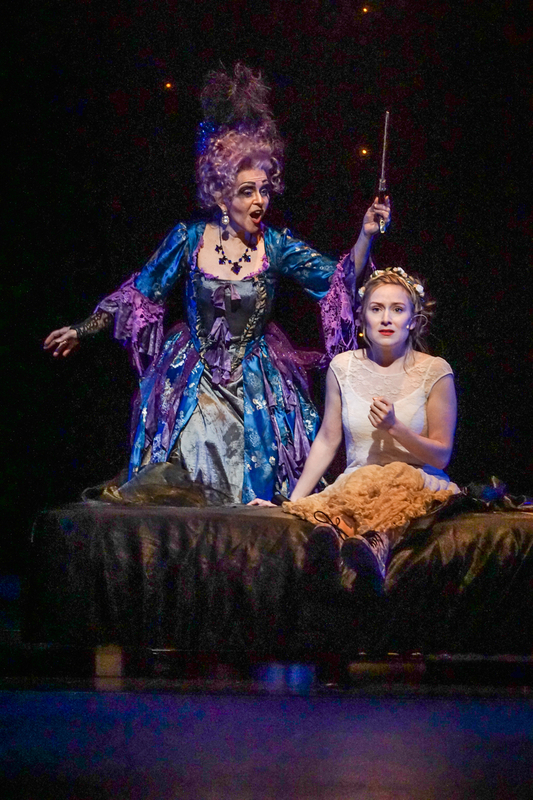 PMW’s latest project, which closed on Sunday, offered a fresh perspective on The Magic Flute by combining period instruments with a provocatively anti-traditional staging directed by Dan Wallace Miller and a newly commissioned translation and adaptation of the libretto by the playwright Karen Hartman.